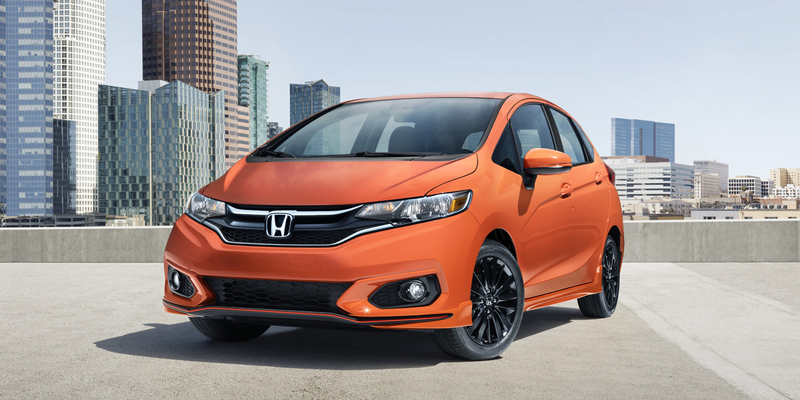 CG Says: The 2019 Honda Fit is unchanged after last year’s refresh. Fit is a subcompact four-door hatchback. The lone engine on all Fits is a 1.5-liter 4-cylinder with 130 horsepower. A continuously variable transmission (CVT) is available on all Fits, and a six-speed manual is offered on entry-level LX, Sport, and midlevel EX models. Available features include autonomous emergency braking, lane-departure warning and mitigation, road-departure mitigation, adaptive cruise control, blind-spot alert, and cross-traffic alert. The Fit is most space-efficient, cargo-versatile vehicle in its class. Fit’s compact size, responsive steering, and sporty suspension tuning make it very nimble, but the ride is a bit stiff. Still, Fit remains one of the most compelling vehicles in the subcompact class.